I mean, what’s not to love about a recipe with the words ‘Gin’ in it? 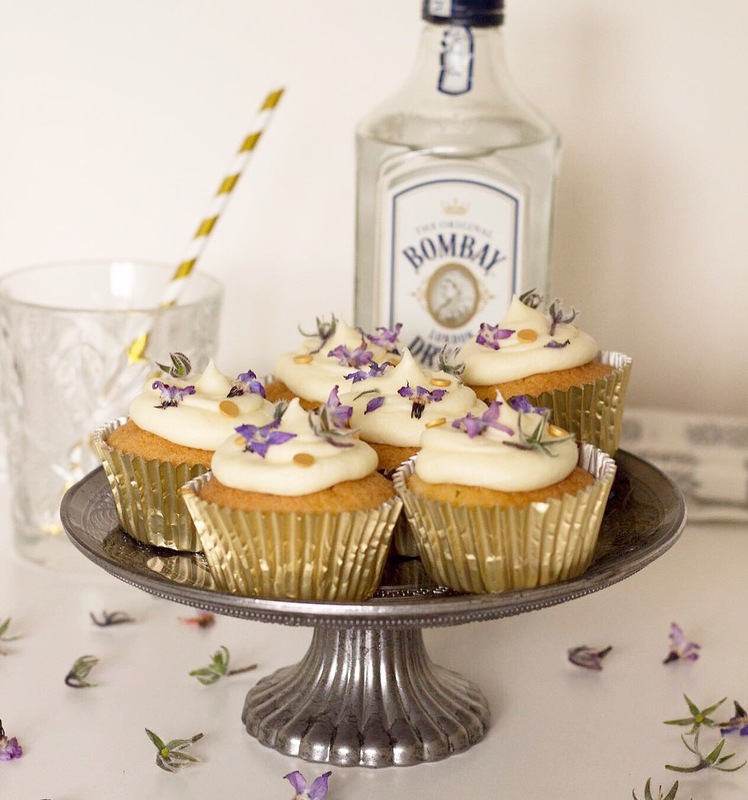 My tipple of choice (though a decision I often regret the day after a session) works wonderfully in these zesty little cupcakes which are perfect for your G&T drinking partner(s) in crime! 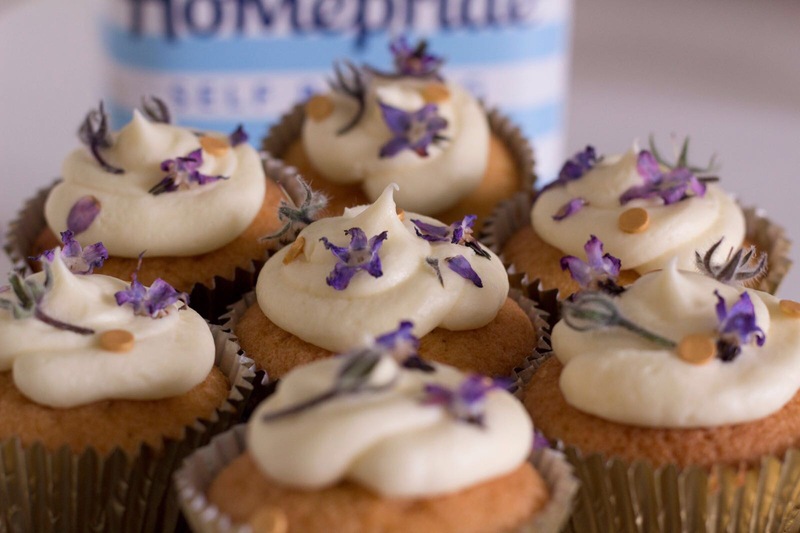 As the saying goes, when life gives you lemons you’d be silly not to put them in a cake or a dosage of Gin…so why not do both? 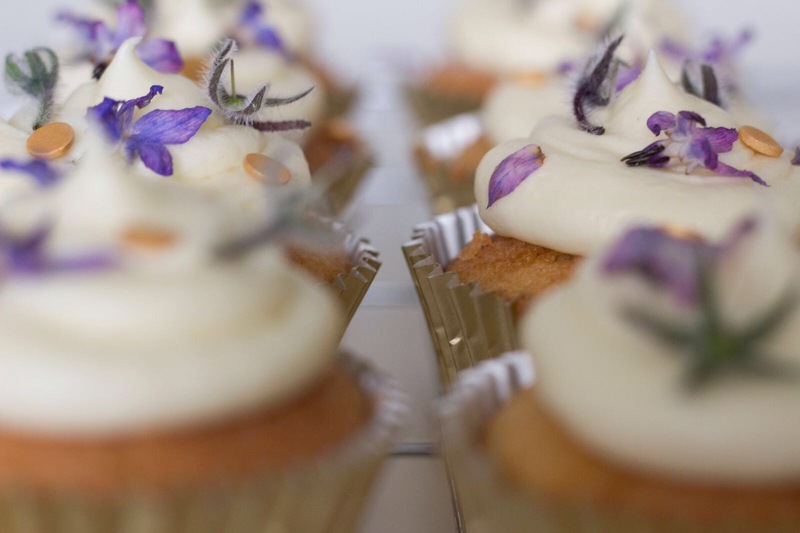 A match made in heaven, these cupcakes are so easy to make, and the slightly sour lemon curd works really well with the subtle lemon sponge and Gin infused buttercream. 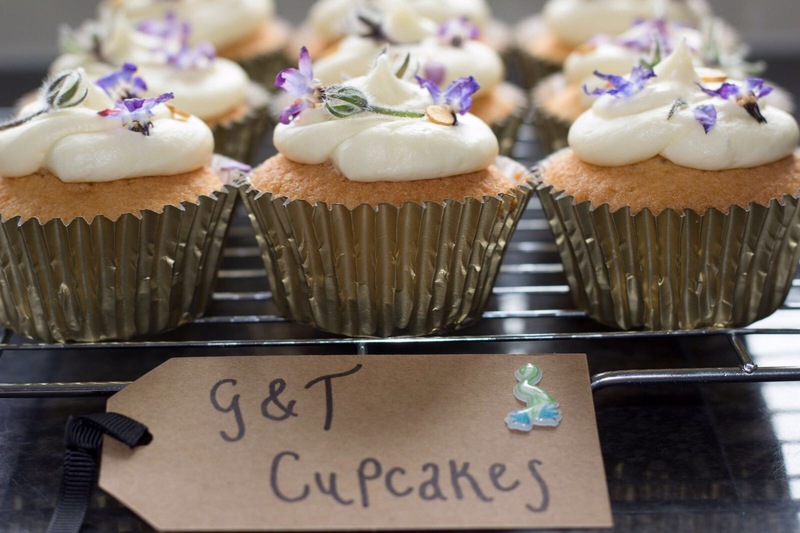 You can also dress them up as much as you like – I added some beautiful edible flowers which you can make yourself by coating in a sugary egg mixture or by ordering online from various suppliers. Once baked, these cupcakes will keep for up to 5 days in an airtight container. You can also swap the lemon for lime if you fancy another tangy twist. These looks so pretty and elegant, wow! Thanks lovely, were you pleased with the GBBO win? Well, I just watched it and YES!! I AM SO HAPPY that Candice WON!!!! Jane was really close but WOHOO! What did you think? Simply amazing looking. Wonder about the taste.